You already know that eating a diet that is high in fat and sugar and low in nutrition can be bad for your health. It can cause your bones to become porous, cause you to lose muscle, and lead to obesity, diabetes, cardiovascular disease, and a host of other health problems. But can lack of nutrition increase your risk of injury? The short answer is yes and even more so in children, who are growing rapidly, putting them at increased risk of stress fractures among other injuries. Each sport has certain injuries that are common. Each season sees some injuries that are especially common. Baseball players are particularly prone to shoulder injuries, soccer players are vulnerable to injuries to knees and feet, and football players are especially susceptible to head injuries. Athletes of any persuasion may suffer from injuries due to overuse. Smart training and a good fitness regimen are the most obvious ways of preventing injury, while rest and physical therapy are the most common ways of treating injury. Good nutrition is key to both preventing and treating injury. Nutrition is not a one-size-fits-all proposal, but there are some things everyone can do to stay healthy and strong. 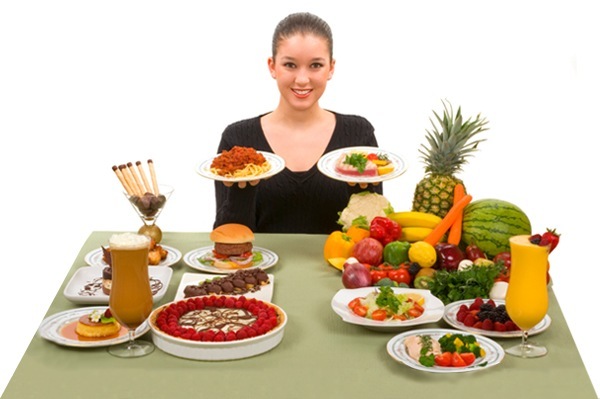 Obviously you want to limit the junk food and focus on healthy fats, lean proteins, and complex carbohydrates. Protein is important for building muscle, carbohydrates are great for quick energy, and healthy fats keep your joints healthy. You also want to be sure and stay hydrated with plenty of clean, clear water. Healthy diet is one that has lots of variety and contains lots of colors. The more different colors you have on your plate, and the form of a variety of vegetables, meats, and whole grains, the more complete the nutrition you’re getting from your food. Vitamin C is important for the formation of collagen which helps keep tendons and ligaments strong and flexible. Citrus fruits aren’t the only good source of vitamin C, leafy greens, broccoli, and strawberries are also good sources. Calcium, magnesium, and vitamin D are all vital to bone strength. When most people think of healthy bones they think of calcium, but calcium cannot be efficiently absorbed or assimilated without magnesium and vitamin D. Dairy foods are actually not the best source of these nutrients. Instead, choose leafy greens, nuts, seeds, fish, and whole-grain foods. For vitamin D, the best source is sunshine, but don’t forget the sunscreen. Omega-3 fatty acids can help prevent inflammation, which can help speed recovery. Among the best sources of omega-3 are oily fish, but seeds and raw walnuts are also good sources. Aside from being good for the immune system, zinc can also help speed healing of injured tissue. Red meat, poultry, lentils, and brown rice are all rich in zinc. Of course, nutrition is only one piece of the injury prevention puzzle. A good stretching and strengthening regimen can help keep you flexible and strong. For more information on how you can prevent injury, or recover more quickly if you’ve been injured, call Chatfield Chiropractic in Roxburgh Park (03) 9303 9952 or Sunbury (03) 9746 3977 to arrange an appointment for a personalized nutrition plan based on your individual needs. A chiropractor that specializes in sports can also give you exercises that can help you prevent injury by strengthening areas that are most vulnerable.